“Essentially, I want a world to exist that I can get into. A world that has to do with certain kinds of illusion and that is also confrontational. The paintings hold you outside of their making. I work very much like a rubber band. I start with an idea or an image and then I stretch it out and let it collapse back into itself.” Ross Bleckner in conversation with Aimee Rankin, Bomb Magazine, April 1, 1987. 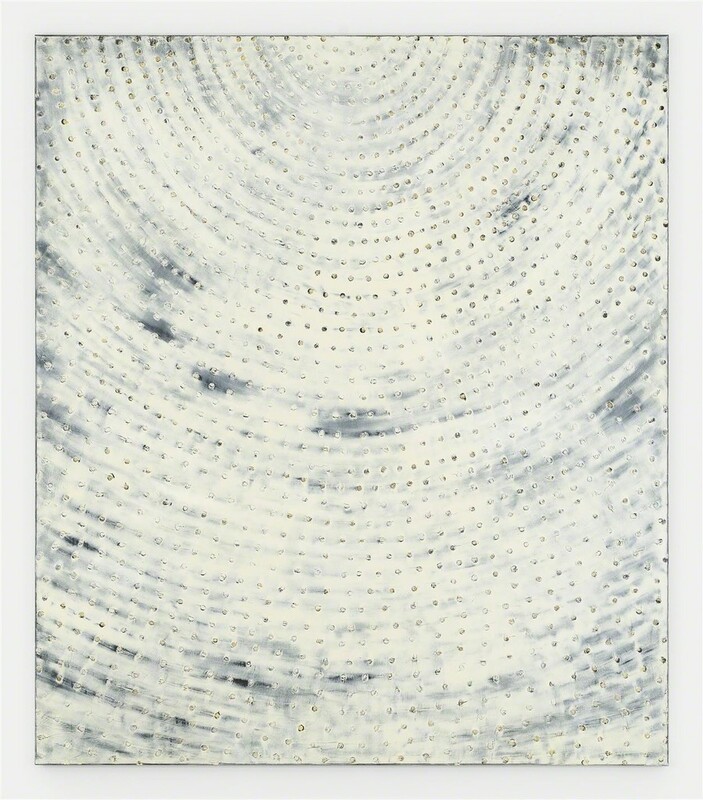 Ross Bleckner was known for his clever abstract paintings. But by the late 1980s the world had become a more dangerous place and Bleckner’s work changed. Slowly the irony that had defined his work was pushed aside and he painted without the filter of a Postmodern critique. His abstraction was concentrated on tight form and rigid compositional structures, and his painted “process” began to exemplify and define those things creating lush surfaces and illusions of depth. Yet as we all know there’s always a catch when one deals with one’s Devil. By removing the “critical” distance and confronting his own experience of the world Bleckner constantly risked sentimentality and tweeness. And sometimes he fell into that trap. His retrospective in the mid 90s was a difficult exhibition, because it showed the risks he was taking and how he could miss the mark. But when his paintings work – like the Architecture of the Sky paintings – they are strong and affecting abstractions. These paintings opened the idea to me that Abstraction could actually reach into the world for meaning. In this way these paintings break, just a little, with the other Abstract Mannerists.